Just as we are very much excited and ready for the start of the new season this weekend under the guidance of Jose Mourinho, The Portuguese manager revealed how he made his team successful and dominate in England. We was referring to Chelsea and the glorious spell we had over the 3 years from 2004 to 2007. Two Premier League, Two Carling Cup, One Community Shield and One FA Cup, all this 6 trophies in 3 years just shows how incredible and how really ‘Special’ Jose Mourinho is to all Chelsea fans. This week as revealed by Telegraph and Daily Mail, Jose spoke about his secret to success in his first spell in West London giving interview for a new book published called, “The Manager”. Mourinho explains how he needed to become a ‘confrontational leader’ at the club, to inspire players who were not used to success. He said: ‘There I was a confrontational leader because I felt that was what the team needed at the time. ‘The guys desperately needed to make the jump from potential to reality, and I think they needed the kind of leader I was. As, revealed by himself, all the reasons that he was too much confident about his team was to create that self-belief in the group that they are one of the top teams in the world and in order to prove it they would have to dominate England and win all the domestic trophies available. And, in 3 years, that exactly what Jose’s Chelsea went on to accomplish. 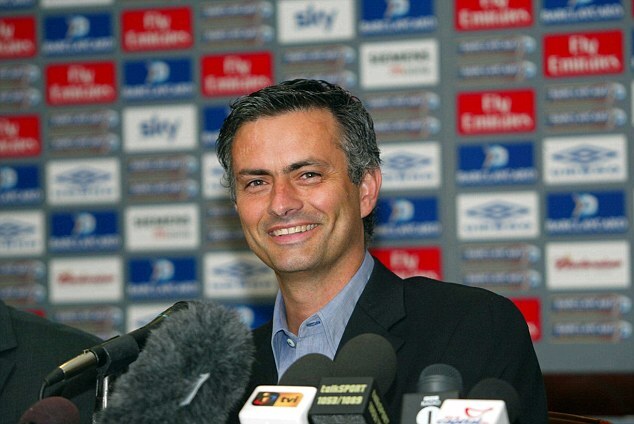 In addition to dominating the domestic fixtures(Chelsea were unbeaten at home in the Premier League or any competitions while Mourinho was in charge), they made much needed impact in the Champions League in the Special One’s debut season in England by eliminating Barcelona from the Champions League. This message he told to Frank Lampard clearly had a huge effect and laid a big fire and motivation under Frank that in the first season of Jose Mourinho at Chelsea, Lampard became our top scorer and finished 2nd in the Ball’n Dor in 2005. We all know the continued success Frank Lampard have had ever seen he was managed by the Portuguese and he cites Mourinho as being the manager that helped him become one of the world’s best player. Mourinho was famed for his ability to attract attention to ease the pressure on his side. His controversial statements and behavior often made the headlines, which gave his players some breathing space. Mourinho believes to be a good leader that you must show your staff that they are more important than you. He continued: ‘A story from the past. I think there are two ways of travelling with the players in a plane: you travel in business class where everybody goes in business class, or if there is not space for everybody then the players go in business class and you go in economy class with your staff. This last quote really shows how much he values his players and what he does to create a winning mentality in the team that we so often see from a group players in the world. Many of his former players have appreciated that quality of his and one of them is the outspoken Zlatan Ibrahimovic. The Swedish striker was asked in an interview to compare Jose and Pep Gardiola while he was at AC Milan and he described that he would give 110% when he plays for Mourinho but, not for Gardiola. And that is because of the trust Jose instills in his players that makes them want to kill themselves and sacrifice for the team every time they play, according to Zlatan. Mourinho says that he does not want players to obey him just because he tells them to do something, but instead because they trust and believe in him and therefore want to follow his instructions of their own accord. The bond between Mourinho and his men is well-renowned, with several managers who succeeded him at Chelsea coming off worse by comparison. Until the arrival of Guus Hiddink and subsequently Carlo Ancelotti, the players did not form bonds with their managers and continued to pine for the ‘Special One’. He would often keep contact with Chelsea stars including Petr Cech, Lampard and Didier Drogba by text message. And that is all we expect from this new group of players Jose would be guiding this seasons and for many more to follow as well. Every where he has coached Mourinho has managed to get all of his players by his side and only in Real Madrid last season, he fall out with club captain and that was claimed as one of the biggest reasons he decided to leave. He hinted in an interview after joining us this summer that the club board and president didn’t back him after he fall out with his star players and as we all know Real Madrid is a political and hostile environment to create a long term stability that a lot other great managers didn’t manage to do at Santiago Bernabeu. That is a different topic but, we should be more than optimistic that is not going to happen at Chelsea as Mourinho is loved, adored and trusted with all the Blues’ faithful around the world. What do you think of Jose’s revealed secrets on how he succeeded in his first spell at Chelsea? Leave your comments and let us know your opinions. Thanks for reading, KTBFFH!!! That’s a Boss, a Manager, a Leader speaking. He belives and gives his players belief in winning mentality. I love him and I’ll continue to love him. Mou deserves it and I think he’ll continue to win with chelsea. This season we’re winning the champions league.